When the Delaware Department of Justice abates a “criminal nuisance,” it eliminates the presence of illegal drugs, illegal guns, violent felonies, criminal gang activity, or prostitution on a property. To do this, the Department not only prosecutes the criminals responsible for these crimes, it holds property owners financially accountable by filing a civil lawsuit against them for the harm they have inflicted on the community. What Can Civil Law Accomplish that Criminal Law Can’t? 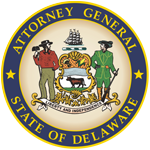 When the Delaware Department of Justice prosecutes criminals, it can seek only criminal penalties, such as prison or probation. By using civil law, the Department can seek other creative remedies designed to provide community members with relief tailored to the specific harms created by the nuisance property. Examples of some of these remedies include suspending or revoking a lease or rental license, fines beginning at $25,000, closing the premises and/or transferring ownership of the property. Civil law can result in a court order that eliminates a number of quality of life issues plaguing a community. How Can I Confidentially Report Information on a Suspected Criminal Nuisance Property? If you believe that a property in your community is a criminal nuisance, you can provide the Delaware Department of Justice with a confidential report by calling 302-577-8899 or by emailing criminal.nuisance@delaware.gov. 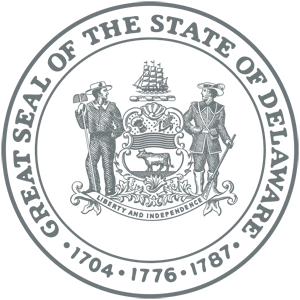 The Department will investigate your complaint by contacting law enforcement, examining police reports, and conducting a number of other investigative techniques. The Department is committed to providing community members with relief from neighborhood crime as quickly as possible, and therefore may attempt to resolve the nuisance prior to filing a lawsuit through meetings with property owners or requesting that rental property owners attend one of the Department’s Crime Free Multi-Housing Program Trainings. What is the Process for Responding to Reports? (1) Report: The Delaware Department of Justice (“DOJ”) receives word via email, telephone call, etc. of a potential nuisance property. (3) Contact Rental Property Owners: If the potential nuisance property is a rental property, DOJ reaches out to the listed rental property owner and invites either that individual or a rental company representative to attend one of the quarterly training sessions provided, entitled the Delaware Crime Free Multi-Housing Program Training. If that property owner is a past participant of the training, DOJ requests an immediate meeting with the rental property owner to discuss next steps in accordance with the content of the completed training. (4) Review Police Activity: DOJ looks to police reports and communicates with community officers to track the history of police activity on the property. (5) Determine Whether Actionable: If the activity occurring on the property qualifies it as actionable under the Delaware Criminal Nuisance Abatement Act (10 Del. C. 7101-7134) and, in the judgment of the Deputy Attorney General, is otherwise a good fit to be addressed using this statute, DOJ will issue a certified letter to the property owner to begin legal action. The Delaware Department of Justice’s Crime Free Multi-Housing Program focuses on addressing the rental property policies and procedures that may allow the criminal element to slip through the cracks, moving destructively from one property and neighborhood to the next, wreaking havoc and destroying neighborhood’s quality of life. This program educates rental property owners about how to protect themselves from securing undesirable tenants and how to quickly evict and/or otherwise address tenants who become problems after the lease has already been signed.